I love comedy. I’m always checking out what new stand-up specials have hit HBO or Netflix, watching YouTube clips of my favorite comedians and listening to comedy podcasts. But watching these people vent about their lives and tell jokes on screen is one thing; watching them live is another entirely. There’s nothing quite like laughing along with everyone in a dark, packed comedy club with the spotlight on the man or woman onstage, interacting with the audience (maybe even you!) and just being in the presence of live comedy. Up until now, you may have thought the only place to experience live comedy is some bigger city like New York or Las Vegas. 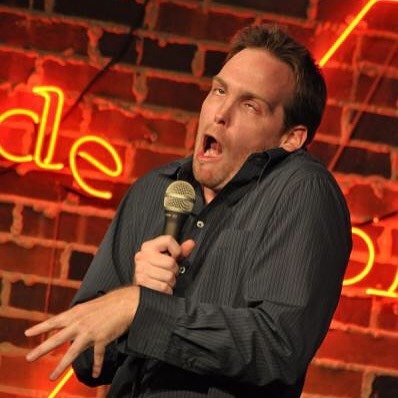 But right here in Reno, the magic of live comedy is happening almost every weekend. As it should, right? The city that had its spark in the limelight with the satirical Reno 911! should never take itself too seriously. So let’s dive into the biggest little city’s best places to catch some official stand-up comedy (sorry, that doesn't mean some rambling homeless man by the river, or your roommate). In just the past few years, forward-thinking Reno resorts like the Silver Legacy and Grand Sierra have started bringing in A-list acts to perform in their massive ballrooms. Current legends of the business like John Mulaney and Chris Rock have made stops in town, drawing huge crowds. 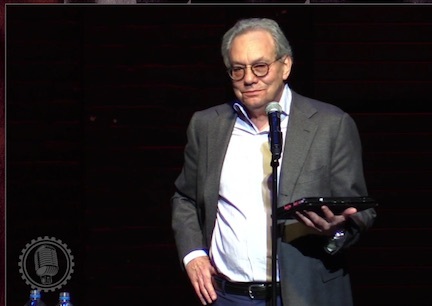 More and more are coming each month, and this weekend it’s Lewis Black. This Saturday, Black plays the Grand Theatre at Grand Sierra Resort, bringing his in-your-face brand of politically minded stand-up as part of his “The Joke’s On Us” tour. For a large theater experience and star comedian, keep an eye on Grand Sierra Resort's calendar. For something perhaps a bit more intimate, you don’t have to go far. Reno Tahoe Comedy, the longstanding local comedy company, brings the laughs to Grand Sierra Resort’s LEX Nightclub every Thursday night. That’s right – the booming-bass dance club transforms itself into a comedy club at 8 p.m. for a new mix of local and touring talent every week, so grab a drink and settle in for a hilarious time. Reno Tahoe Comedy has been operating out of the Pioneer Center for the Performing Arts for years. That is, the Pioneer Underground, accessed by a telephone booth-sized entrance in front of the actual theater. Down the staircase you go into one of Downtown Reno’s best secrets, a full-fledged comedy club with a bar and a rotating cast of comedians every week. Come check out the super-funny local openers and get a taste of authentic jokes and great characters. You’ll keep coming back, I’m sure. 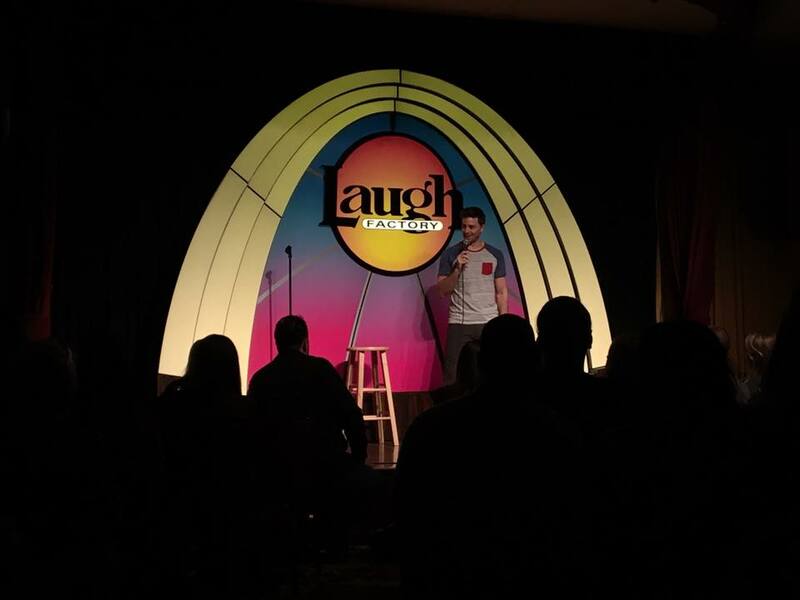 Last, the Silver Legacy is home to Reno’s version of the famed comedy club, the Laugh Factory. The chain has locations all over the country (including the historic Los Angeles locations), but any comedy fan can walk into the Silver Legacy’s and feel at home. The Laugh Factory brings in fantastic comedians from all over the country for nightly sets five nights a week, making it hard to miss each touring comedian! See? There’s no shortage of live comedy in Northern Nevada, especially when you throw in the great Carson Comedy Club in Carson City and the Improv in South Lake Tahoe. Even if you’ve never given stand-up a shot, find a show, any show, this weekend and take a chance. You may have just found your new favorite thing about Reno.